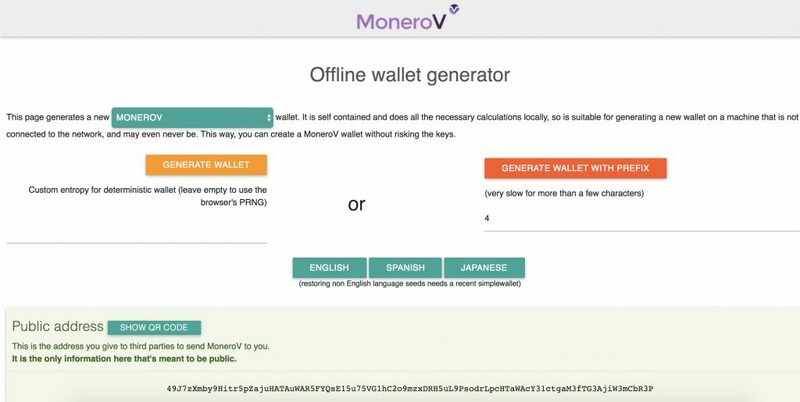 The offline wallet features mnemonic seed words in English, Spanish and Japanese and customizable address generation with a prefix. The main blockchain consensus algorithm was updated to prevent getting invalid block data when a recent block of a foreign chain is not found. It is advised to update to the latest wallet although it is not mandatory as this update only reduces overhead. An update to the MoneroV P2P protocol has addressed several bugs that prevented users from connecting into the MoneroV protocol including a HTTP parsing bug and an address bounding bug. Users who have been facing connectivity issues should upgrade their clients to ensure a steady connection to the network.